﻿For experienced colorists only! Sparks is a professional quality direct dye. 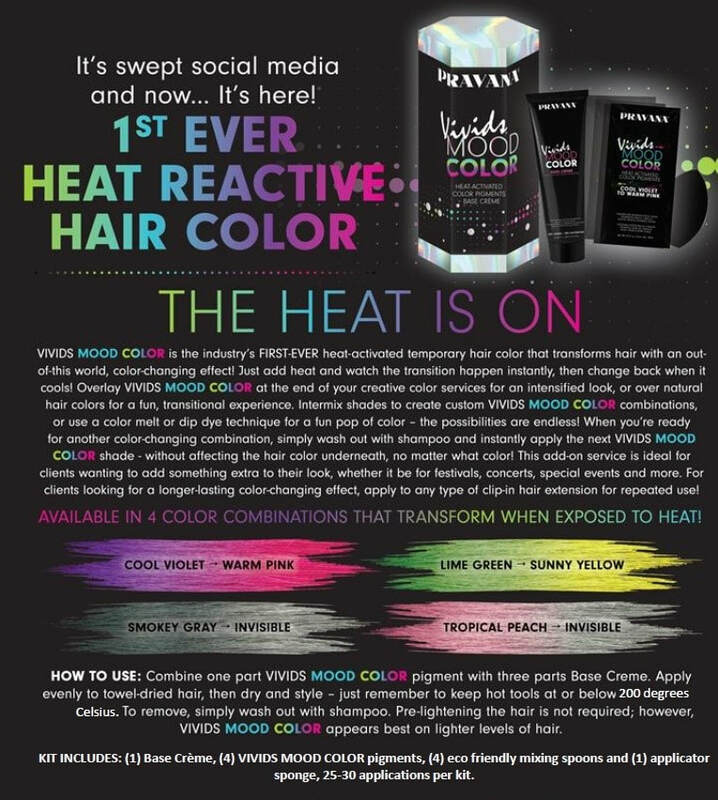 Pravana Chromasilk Vivids colors are among the most vibrant, long-lasting colors that are preferred by professional stylists. These brands are best used by people who understand how colors mix, and how current hair color can influence the final color result of the dye. Ready to use, so no need to mix with peroxide. PPD-free so it's hypo-allergenic. Vegan so no animals were involved in the production of the dye. Funky Streaks' most recent addition to the line-up of semi-permanent hair color brands. Funky Streaks feedback on Sparks and Pravana is that they come in a creamy form that smells like cologne. They are highly pigmented so a little goes a long way, and best of all, it lasts a really long time even with regular washing. However, you may have to bear with color bleed for the first four weeks or so. Comes in a 3.0 fl.oz. professional tube packaging. Mix Sparks' basic colors to make your own special color blend! Mix in CRYSTAL CLEAR into your favorite Sparks color to pastelize it (i.e. make the color lighter)! Note that the greater the proportion of CRYSTAL CLEAR you mix in, the lighter the final color becomes. Mix in different Sparks colors to create new ones! This color wheel can guide you on what to expect when you mix Sparks colors together. Water (Aqua/Eau), Cetyl Alcohol, Cetearyl Alcohol, Lanolyn Alcohol, Ceteareth-20, Propylene Glycol, Hydrolyzed Keratin, Ethyl Ester of Hydrolyzed Silk, Sodium Sulfite, Simethicone, EDTA, Fragrance (Parfum). May Contain: Basic blue 1, Basic red 22 (CI 11055), Basic orange 1 (CI 11320), Basic violet 1 (CI 42535), Basic yellow 57 (CI 12719), Basic green 4 (CI 42000) yellow 87, orange 31 (CI 20050), Violet 14 (CI 42510).